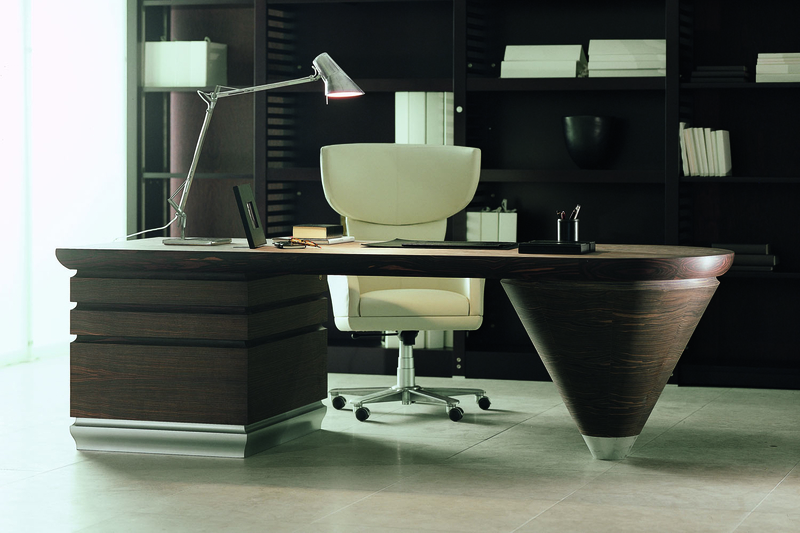 Scriptor is a luxurious series of executive writing desks available in the following versions: all in maple with the chest of drawers and the cone in maple; with the top in saddle leather and the chest of drawers in maple; with the top and the cone in saddle leather; all in ebony macassar with the chest of drawers and the cone in ebony macassar; with the top in saddle leather and the chest of drawers in ebony macassar; with the top and the cone in saddle leather. 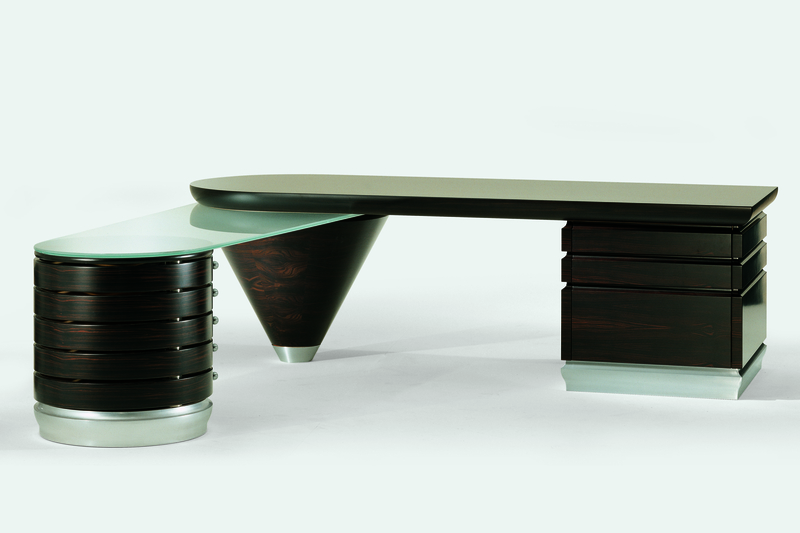 The side worktop for the Scriptor desk is designed with extra clear crystal glass tops. 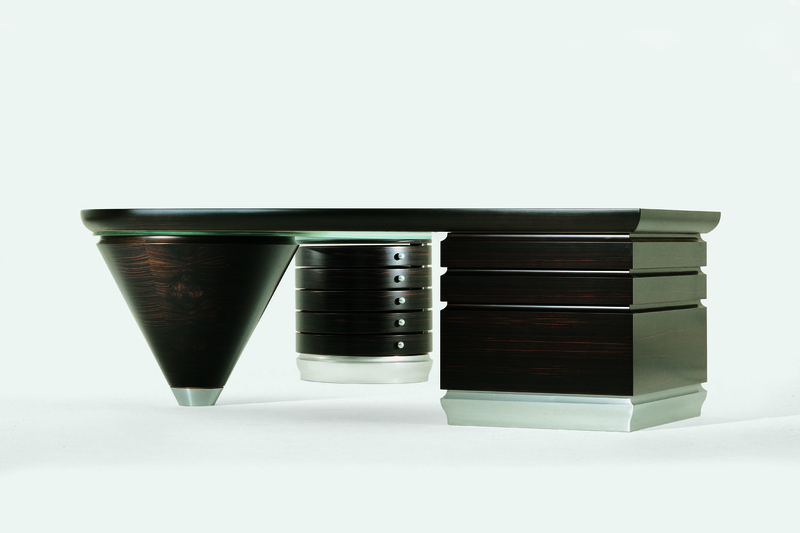 The cylindrical chest is composed of five drawers that have an independent 180Â° opening, in curved multilayer wood available in maple wood or in polished ebony macassar with the internal part of the drawer in maple wood. The base is in solid extruded aluminium with satin finish and protective transparent varnish. The knobs are in satin metal with protective varnish. It is possible to have left or right side worktop.